Usually, it hits people between the ages of 40 – 60 and be associated with other diseases such as Diabetes, Cardiovascular Disease, Metabolic Syndrome (obesity, blood sugar issues and chronic low-grade inflammation ). Frozen shoulder can also be associated with trauma, hypothyroidism, menopause, smoking and other chronic diseases such as Parkinson’s, stroke etc.. There are 3 phases of the symptoms of frozen shoulder: Phase 1: Freezing also known as the painful phase it can last from 2-10mths Phase 2: The frozen stage, when the shoulder becomes stiff and movement is limited which can last from 9 to 14mths. The pain is more frequent with overuse. Phase 3: Thawing which could take from 3mths to 1 year or more. Some scientists believe that sedentary lifestyle leading to low activity or injury near the shoulder joint or major surgery can be a trigger in this condition. 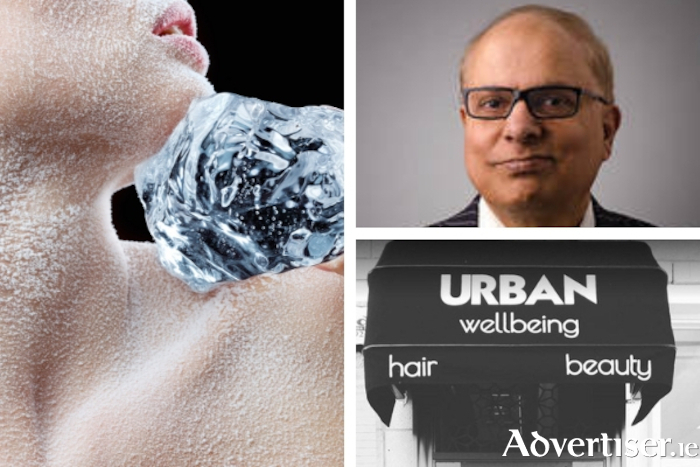 Dr Bhatti has been treating frozen shoulder with a complementary approach for more than 25 years and his experience shows that earlier intervention, a combination of conventional, complementary therapies, physio and exercise can sometimes give great results. Other conditions which mimic frozen shoulder are 1. Bursitis 2. Arthritis 3. Wear and tear of shoulder joint 4. Inflammation of Bicep tendon 5. Pain coming from the neck due to disc deterioration in the cervical area 6. Autoimmune diseases such as Lupus, Rheumatoid Arthritis and sometimes cancer. Hence it is very important that if you suspect you have a frozen shoulder that you contact your doctor and rule out any other conditions. In our clinic we use a multi-pronged approach to this and many other conditions with evidence-based therapies such as Physiological Regulating Medicine (P.R.M ), Gut Health and Microbiome restoration, Nutritional and Nutraceutical therapies, Lifestyle Medicine, Natural Hormonal Balancing, Glandular support, Soft tissue and joint support, Complex Homeopathy, Herbals, and Needle-free Medical Acupuncture to achieve excellent results. Disclaimer. Always consult your G.P.first for any medical advice and to rule out any serious illness or before starting any new regime or self-treatment. The contents of this article are for informational purposes only and are not intended to prevent, diagnose or cure any medical conditions. The publisher of this article or any information provided on this site including text, graphics, images, cannot be held responsible for any errors or any consequences arising from the use of the information contained in this article or this site or its pages. In case of an emergency always contact your Doctor and the emergency services immediately. We acknowledge the contribution of all authors and researchers. Holistic Health & Stress Clinic is now at URBAN wellbeing, Tuam Road, Galway, Ireland.